I know this has been said so many times before but the power of rose and good quality rose products on the skin is simply amazing. It can really help with redness and problem skin like rosacea. Really soothing the red sore skin taking down the redness, soothing and hydrating. Use it cooled out of the fridge on hot eyes to take down any irritation or puffiness or on sunburnt skin to cool and hydrate hot skin and take down inflammation. 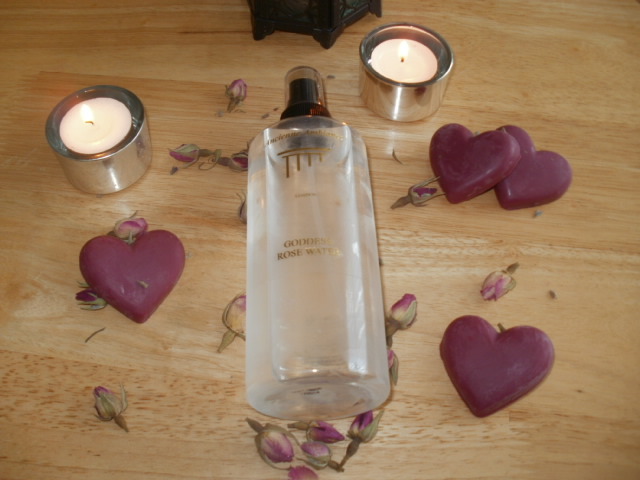 Pure Rose Goddess Water is also a natural mood boosters and are lovely to just spritz around you when you are hot, bothered and tired. 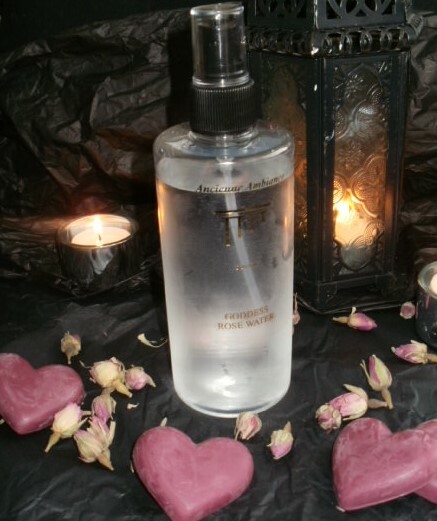 I use my Pure Rose Floral Water as my toner, i keep it fresh and cool in the fridge and use morning and night. I put a good spritz onto my face and because it is pure, I don’t have to wipe it off! I can just let it sink into my skin as I get dressed or undressed ..
For healthy happy skin it is essential you get your first 2 steps right and that is cleansing and toning so your skin is prepared to accept your serums/oils/moisturizer or else they do not get to work properly or sink in as needed. I searched a long time to find a floral water at a decent price and this is the one for me, most toners are 200ml and are kept stable by alcohol which can not only be very drying on the skin they can really irritate it too. 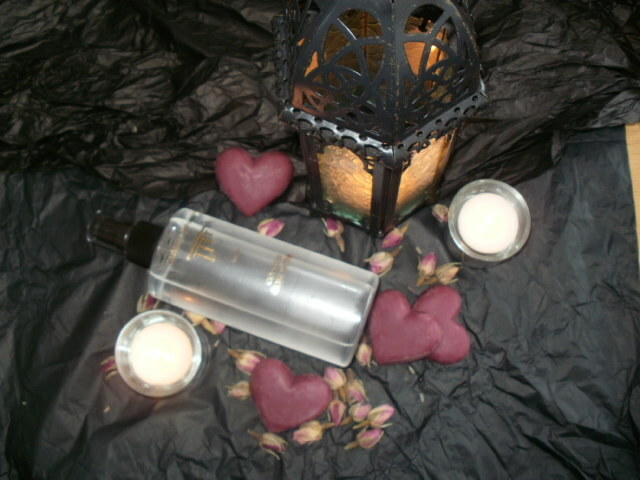 Ancienne Ambience pure floral waters are £20 for 300ml and the best value and quality I have found. Even the nozzle on the bottles are great and deliver a lovely even spritz onto my face every time. 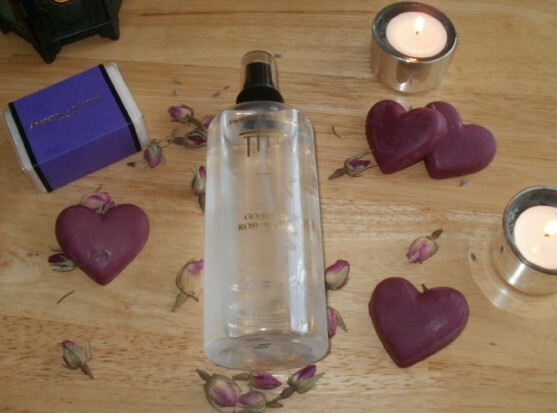 Ancienne Ambiance does an amazing range of the most incredible smelling beauty products from their soaps (another love, pure and non drying) to bath and body items and candles, my wish list is endless lol ..
Have you tried these amazing floral waters yet? 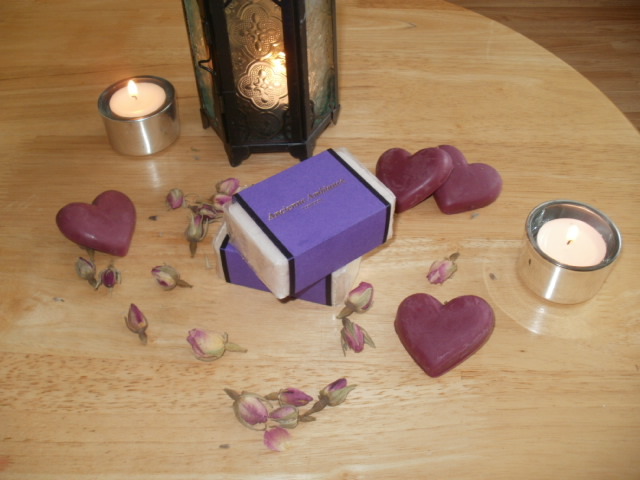 This entry was posted in Beauty, Cosmetic, Eco Cert, Gluten free, Halal, Health and Beauty, Natural Health, Organic, Paraben free, skin friendly, Skincare, Water Distilled and tagged Ancienne Ambience, Anti-inflammatory, beautiful, Calming, Goddess Pure Rose Floral Waters, Goddess Rose Water, Hydrolat, Non Drying, Rosacea, Soothing, Toner, Water Distilled on June 4, 2015 by the40somethingbeautyblogger.